Get an insider's view of Bologna, known as one of Italy's cultural and culinary capitals. 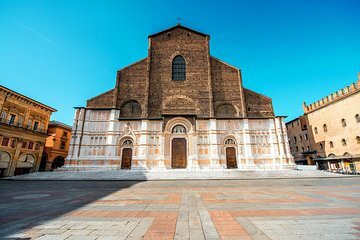 This private walking tour gives you the undivided attention of an art historian guide, who reveals stories and secrets behind Bologna’s fountains, palaces, and churches. See highlights of the medieval city center, learn about important former residents, and browse the delicious products of the Emilia-Romagna region at a typical market. Ask all the questions you like for a personalized introduction to beautiful Bologna.